Do you have a comprehensive universal medical record? With all the planning that goes into travel, people usually spend very little time thinking about how they would deal with a medical emergency if faced with one while away from home. But having a plan and resources in place can help ensure you get the right care from experienced physicians in a timely manner. Know who to call. Although 911 is the number to call in an emergency in the U.S., that’s not usually the case abroad. Before traveling overseas, find out what the local emergency number is for ambulance service and program it into your mobile phone. The State Department has a list of international emergency numbers, but notes that English-speaking operators may not be available. Make sure any doctor who treats you in an emergency can quickly access your medical records. Knowing if you’re being treated for any chronic conditions, have had recent surgery, have been treated for cancer or are taking any medications is important, especially in an emergency situation if you’re not able to tell the doctor your medical history. This information can impact your treatment and its outcome. For example, if you take blood thinners, doctors will need to take precautions before performing any surgical procedures. There are a growing number of apps that let you can carry a digital copy of your records on your smartphone. Another option is to work with a personal health advisor who can help you build a secure, comprehensive universal medical record that can be shared electronically with any doctor or hospital. Get to the medical center or physician that can provide the best care for your illness or injury. 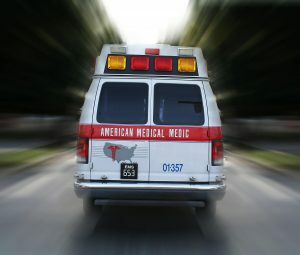 While an ambulance will take you to the closest hospital, that may not be the one with the most experienced specialists and the most appropriate care for your situation. One of our members was taking part in a bike race in Paris when he experienced symptoms of a serious respiratory illness. The first doctor he saw prescribed a medication that wasn’t used to treat this type of illness, so his symptoms got worse. After he contacted us, we recommended an urgent care facility where he received the right diagnosis and treatment and did not have to spend hours in an ER waiting room. Have a plan in case you need medical evacuation. In some emergencies, you may need to be evacuated to a major medical center or back to the U.S. to receive the most appropriate care for your condition. The young son of one of our members became seriously ill with a high fever while the family was vacationing in the Dominican Republic. We arranged for him and his family to be transported to the U.S. on a specially equipped jet staffed by trained medical personnel and transferred to a medical center of excellence, where he was diagnosed, treated and recovered quickly. Another way to ensure you have access to medical evacuation services if you need them is to purchase travel health insurance that includes coverage for medical evacuation.